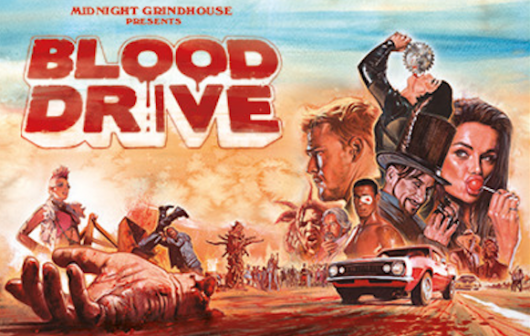 Last week, on Syfy’s newest guilty pleasure Blood Drive, the drivers were forced into an uneasy alliance to escape a diner/motel serving as a cannibal chopshop. Cop Arthur (Alan Ritchson) and beautiful Grace Argento (Christina Ochoa) who were forced to get really close just to survive day 1, managed to make it out of day 2, and use the “cook” from the diner as fuel to keep on racing. We also learned more about Heart Enterprise, the global conglomerate that took over after “The Scar” tore the US apart. Arthur’s partner, Christopher (Thomas Dominique), is kidnapped by Heart cyborg Aki (Marama Corlett), while Blood Drive creator Julian Slink (Colin Cunningham) is given ultimatums by the mysterious Heart executives. 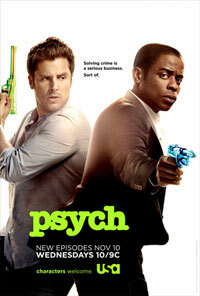 The USA Network series Psych will begin its fifth season on Wednesday, November 10, at 10/9c, and to celebrate we here at Geeks of Doom have two (2) prize packs to give away to some lucky readers!